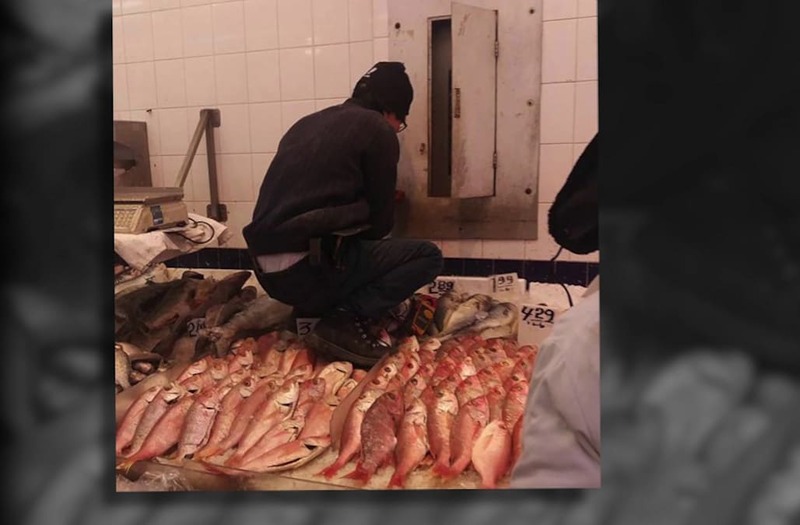 CHINATOWN, Manhattan (WPIX) — A frequent customer at a Canal Street fish market spotted something shocking during a visit last week to buy fish for her family: a man was standing on the fish in his boots as he worked on a fuse box at the back of the case. A frequent customer at a Manhattan fish market says she spotted something shocking during a visit last week to buy fish for her family. She posted the video on some pictures he took to her Facebook page. It's gone viral with almost 35,000 people sharing it. PIX11 contacted the New York State Department of Agriculture and Markets Monday and immediate action was taken. A spokesperson said: "Upon receiving a video exposing an apparent food safety violation at Hung Kee Food Market in Chinatown, the Department sent a food safety inspector to examine the facility. A full sanitary inspection was conducted on Monday, January 8, 2018, resulting in critical deficiencies." The food safety inspector also addressed the consumer complaint regarding an individual standing on fresh fish. Management stated that a contractor, who was hired to repair an emergency electrical issue, stood directly on a fish display to access the electrical panel. Management has since instructed employees on proper access for electrical panels without jeopardizing product integrity and wholesomeness. As part of the Department’s new policy to increase consumer awareness of the sanitary conditions in retail food establishments, Hung Kee Food Market was instructed to post the results of that inspection in a conspicuous place at the store. As a result of Monday's inspection, the firm was assigned a “C” grade for Critical Deficiencies unable to be corrected at time of inspection, noted. To help ensure the market remains compliant with the State’s food safety regulations, the department will conduct a follow up inspection at this location in the near future.